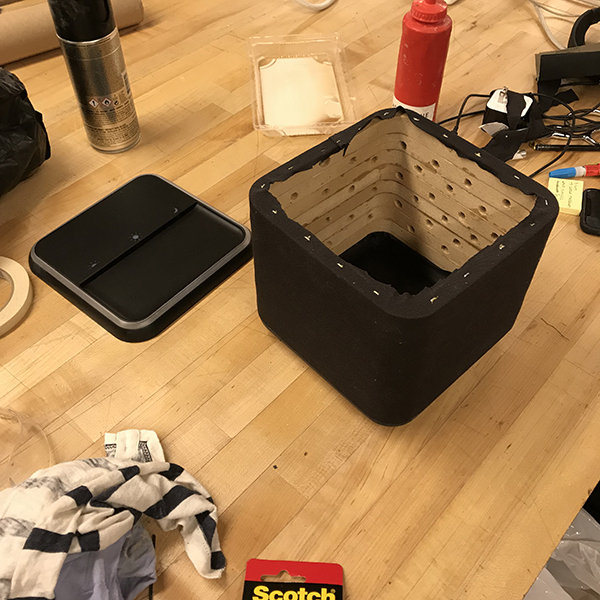 Abhinav Sircar is in the IXD MFA program here at SVA and has been using a combination of our wood shop and digital fabrication tools to make a prototype for his thesis project. The prototype is his vision for where the service Pill Pack could go. It would aid in assisting the elderly with their medication by dispensing the correct dosage with the patients schedule. It would also include verbal prompts and confirmations with both the patient and care giver to make the process as simple and comprehensive as possible.